Outdoor use of wood chip machines. This review is about item#35112594. Most of the usual drums have a wire diameter of 2.0 mm. 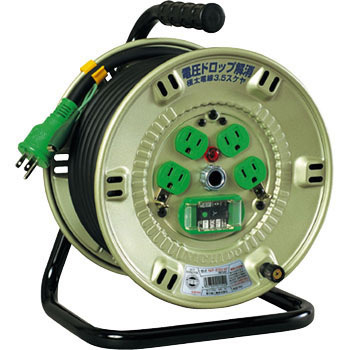 I was looking for a product with a large power supply diameter. Although it was voltage drop with the 2.0 mm drum which was used before, the extremely thick drum is 3.2 mm and stable power supply is secured. I wonder if it will be light.